Gulkand is undoubtedly the most delicious preparation.It is also naturally rich in calcium and has antioxidant activity.It can be used year-round by persons of all constitutions.Gulkand has been traditionally used as a cooling tonic for fatigue, lethargy, muscular aches,itching, and heat-related conditions. 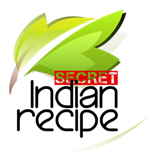 Sandhya Satish's Secret Indian Recipe ! Gently wash the petals with water and let them dry on a dry cloth. chop the petals into pieces. Add equal amount of sugar by weight in the petals. Spread a layer of rose petals in a dry glass bottle with a lid. Now spread a layer of sugar over the rose petals evenly. Then again spread a layer of petals over the sugar layer. Repeat till all the petals are over. Close the glass bottle with a lid and keep it in the sunlight for 7 - 10 days. Mix the gulkand every other day using a clean spoon. Store in an airtight container and refrigerate it. Have it every morning with a cup of milk. Making Gulkand at home is better than using the commercial ones as they add the complete rose flowers,instead of just using the petals.please make sure that the rose petals are clean and free of insects. Gulkand can be used daily and is an excellent summer tonic.